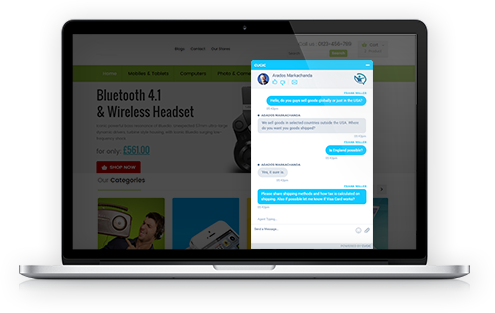 Fastest live chat software to engage your customers and provide them the best chat support in real time. If you require a top-notch business live chat software that can help you interact with your website visitors, CUGIC is the software for you. 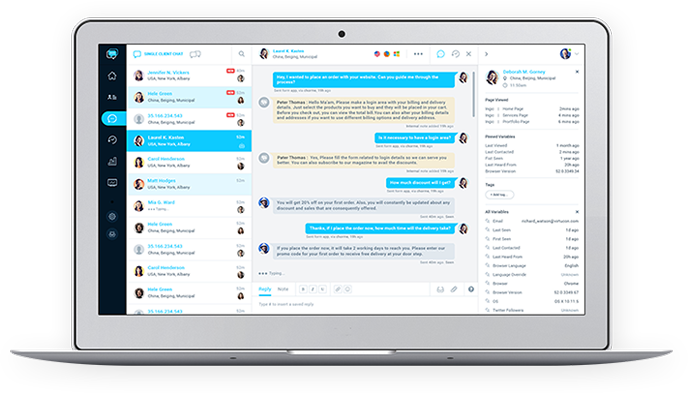 CUGIC is a SAAS based chat software for business that can be easily customized to suit your requirements. 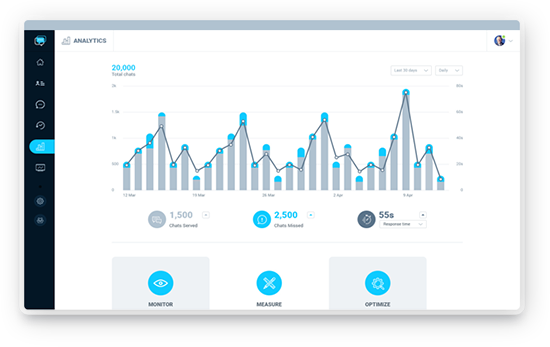 With CUGIC, you can monitor the traffic on your website and interact with your customers whenever you feel they need your help. That way, you can increase the probability of your web visitors making a purchase decision, converting to your customers and ultimately increasing your conversion rate. You can have multiple agents and use CUGIC on multiple platforms including your Android/iOS based cell phone and talk to your website visitors any time. This makes CUGIC the best live chat software for business. CUGIC makes an excellent live chat software for business of every size. CUGIC offers a number of packages that are particularly designed to cater the needs of businesses of all size. The packages offered by CUGIC start off with CUGIC LITE which is a free account that allows you to assign two agents at a time, making it the best live chat software for small businesses. Besides the Lite package, CUGIC offers a number of other packages that includes packages for large companies that allow unlimited number of chats and agents. That is why CUGIC is the business live chat software for every business. 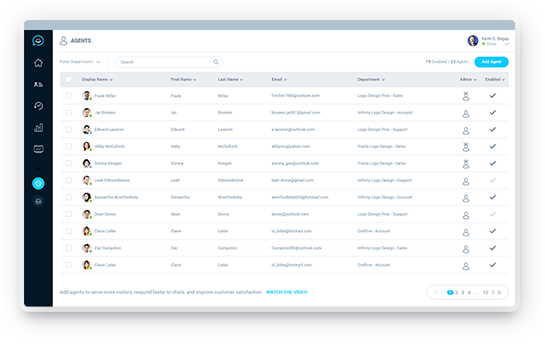 CUGIC Live chat is the fastest way to interact with your customers. Get started today with a free 14 day trial. Sometimes, voice is considered to be more effective medium than any other to address the queries of a customer. Asking the customer for their contact details and calling them back later sometimes reduces the intensity of the situation, reducing the chances of conversion. CUGIC provides audio and video calling feature that enables you to call your customer and address their queries right then. The CUGIC call center is a time as well as a cost-saving feature that helps you acquire more business at relatively lower costs, making it the best live chat software for small business and remaining the most effective for every business. Interact with your customers with lively chat sessions and display an employee image on the agent chat pop-up to ensure best customer service practices.